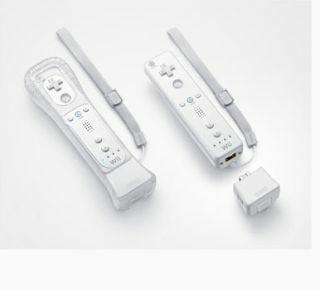 The technology behind Nintendo's new Wii MotionPlus add-on has been described in more detail following the announcement of the new Wii accessory at Nintendo's press conference at E3 this week. Californian company InvenSense Inc. ("a leading provider of MEMS-based motion sensing solutions for image stabilization, dead reckoning navigation, 3D remote control, and gaming devices") has released further details on the important bit of tech that powers Nintendo's new, more accurate motion-sensing Wii Remote controller - the IDG-600 multi-axis MEMS rate gyroscope. InvenSense describe this gizmo as a "truly disruptive technology" that, combined with the accelerometer and the sensor bar, allows for more comprehensive tracking of a player's arm position and orientation. "Conventional MEMS gyroscopes, which are the key enabling technology that can sense absolute rotational motion inputs, are typically used in commercial automotive electronic stability control and GPS applications, where their larger size, high power consumption and costs are accommodated," explains Invensense's press release. Luckily, for Nintendo and its legions of fans, "InvenSense has introduced an entirely new class of high performance silicon-based MEMS rate gyroscopes that offers smaller package sizes, lower power consumption, and lower price points suitable for consumer markets. "The addition of InvenSense's multi-axis rate gyroscope solution to the Wii MotionPlus accessory allows high precision 3D tracking of rapid gaming gestures." Genyo Takeda, General Manager of Nintendo's Integrated Research and Development Division notes that: "The popularity of Wii in large part is based on its popular motion sensing interface and InvenSense's MEMS rate gyroscope represents a truly disruptive technology that possesses inherent manufacturing and high performance advantages that drives the need for a new generation of Wii Remote. "Nintendo selected the IDG-600 for its ability to measure large dynamic motions, high shock resistance, and accuracy for sensing the fast moving arm and hand motions required to support exciting new game titles." "We are honored to be selected as a strategic supplier by Nintendo, the leader in consumer gaming, and provide them with the solution that met their needs," said Steven Nasiri, founder and CEO of InvenSense. "We will continue our development efforts to bring about leading edge motion sensing solutions with an even higher level of integration, improved cost and performance, and added functionality to address the huge demand for motion-enabled gesture recognition."